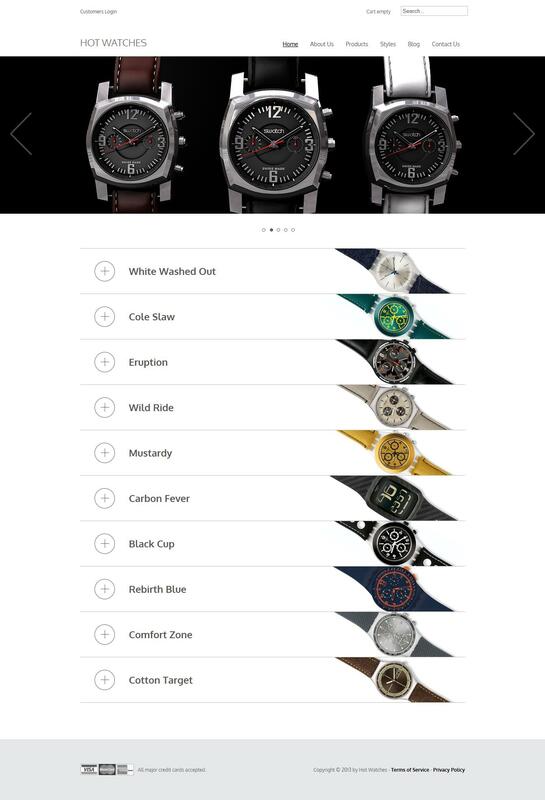 HOT Watches - interesting template to create a functional online store that has an unusual style. Development pattern was team HotJoomla. Convenient for the sales of your goods through the site unused component VirtueMart (online commerce). Appearance of the template filled with bright colors, but there are five color variations of design that can be easily configured using the built-in manager. JQuery library developers used to promote products in the store as tabs, so in each tab displays the name of the product and all the additional information about it. Thanks Sparky Framework template provided adaptive functions are also given the opportunity to manage all the settings flexible layout, editing module positions, setting up modular styles and stuff.